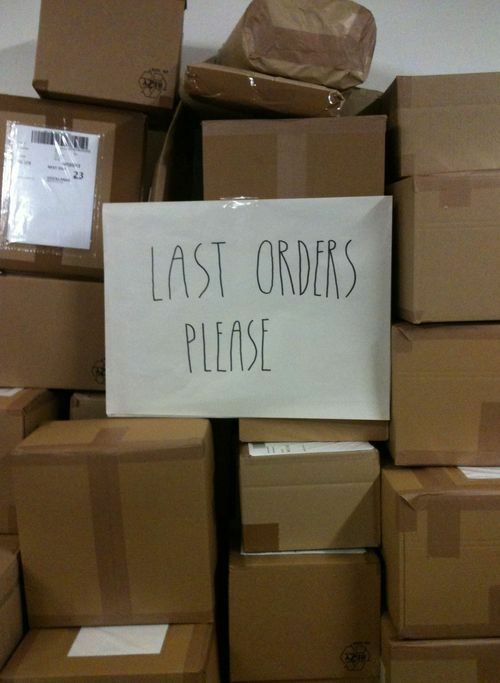 The Christmas Mail Order Elves are working flat out, so have asked me to tell everyone that it is now time to place your last orders. Today is the deadline for EUROPEAN ORDERS to be placed - if you are placing an order please make sure we have a contact telephone number as your local courier may need to contact you. The deadline for UK orders is Wednesday 19th December. Our courier service is next-day, so if you must have it before Christmas please make sure to select UKMail rather than Royal Mail First Class. Please bear in mind we are very busy, to please place your Christmas orders as soon as possible!